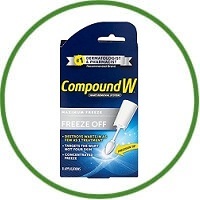 Compound W Freeze Off is the faster, medically proven way to get rid of common and plantar warts – without a doctor’s visit! For years, doctors have performed a simple wart freezing process that quickly removes warts. Until now, this procedure could only be done in a medical professional’s office. Compound W Freeze Off is an innovation in wart removal that enables you to safely and easily freeze and remove common and plantar warts at home. It is being made in The Netherlands. 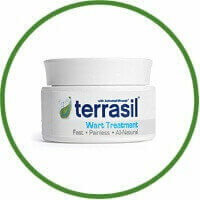 It works by using a swab-like applicator that directly freezes the wart. Typically, within two weeks time, the wart falls off and new skin grown in its place. You don’t have to be concerned about getting wet because water will not interfere with the treatment. 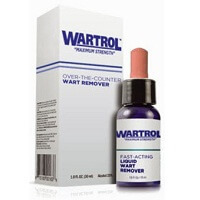 A fast, safe and easy way to remove warts – from Compound W, the most trusted name in wart removal!